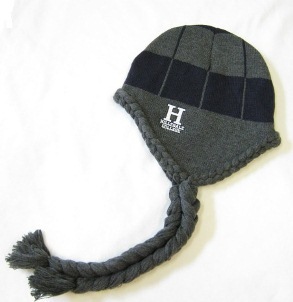 Navy blue and charcoal gray knit hat with white embroidered imprint on left side. Has fleece lining and braid coming down from earflaps. Exterior made of 100 acrylic; lining is 100% polyester. Hand wash - dry flat.